I am leaving in two days for Mason, TX to commence another Habitat For Humanity build. This will be my sixth project in the last year. Most builds are two weeks long. Mason will be three weeks long, but the one after that in Santa Fe, NM is only a week long. During the last week I've been visiting friends (Frank, Kay, Paula, and Toya Sanders) that previously lived two doors west in Carbondale, IL. We haven't seen each other for 13 1/2 years, but the experience has been as if we only said goodbye last week when they migrated to Georgetown, TX. We've been way too busy this week with food (too much), reminiscing, and assorted adventures. We've gone hiking along the North Fork of the San Gabriel River that flows through Austin, TX. 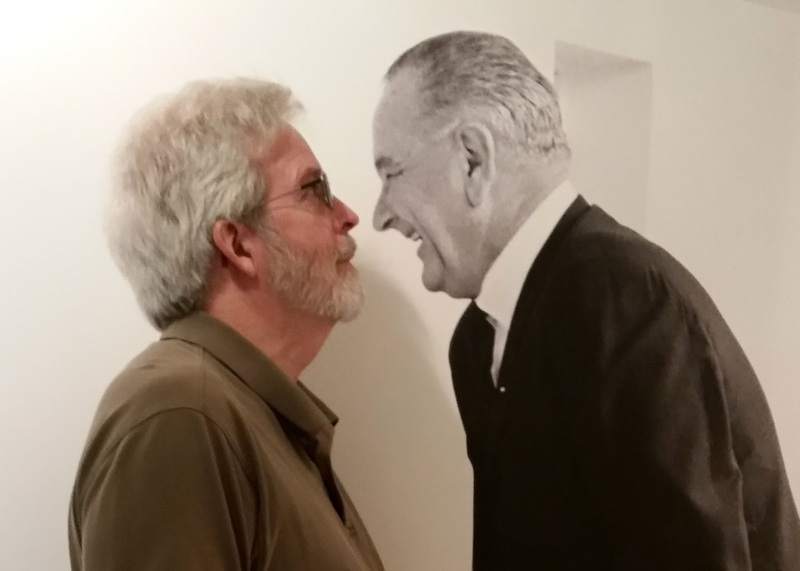 And yesterday for Throwback Thursday (x 45 years) we visited the Lyndon Baines Johnson (LBJ) Presidential Library in Austin. Today, we four all went flying for the first time without an airplane. More on that in my next blog entry. 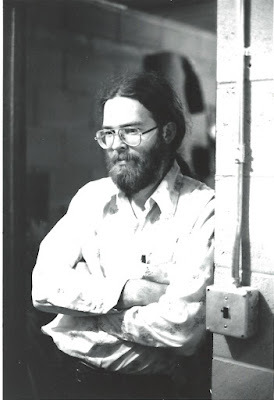 My world view was enormously shaped by the events of the 1960s and 70s. I was in high school and college during the turbulent times of the Vietnam War, the domestic assassinations of three revered leaders (John and Bobby Kennedy plus Martin Luther King), the massacre of my peers at Kent State, civil rights protests, urban riots, the six day Israeli war, and the forging of the hoped for Great Society under the guidance of President Lyndon Baines Johnson (LBJ). Visiting the LBJ library brought back the vivid memories of my involvement in many social and political events on the period, It was also the time of my first marriage with all the joys and struggles of a young couple trying to find their way in that tumultuous world. The library is filled with sights and sounds of the period. Particularly poignant were recordings from the Oval Office wherein LBJ worked through his frustrations with trying the put an end to the fruitless war, eliminate poverty in America, end segregation, and protect the environment with the passage of numerous laws. The two most noticeable pieces of environmental law were the Clean Air Act of 1963 and the Wilderness Act of 1964. You will support this legislation, won't you Bob? LBJ also used his power of persuasion to see passage of a twenty-two other Great Society laws. Below in bold are the laws that I personally am most proud to have seen passed by a far more compassionate and apparently, educated, Congress than what we have today. The library also gives recognition of LBJ's wife, Lady Bird Johnson. Johnson died only two days after the swearing-in of his successor, President Richard Nixon, a man we learned to hate for his disastrous policies that prolonged the war in Vietnam. I highly recommend a visit the the presidential library on the University of Texas campus.